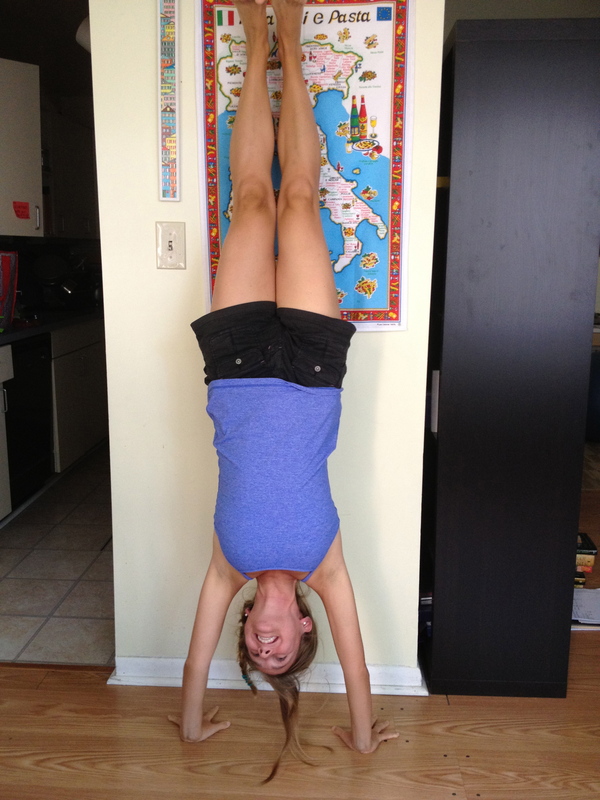 Yesterday’s yoga class was the first time that I ever ‘stuck’ my handstand while in the middle of the room. …all for about a second or two, before I freaked and I didn’t know where to go or what to do. At that point my body was moving faster than my mind, so my feet fell all the way over head and I landed in wheel. It was awesome. I had no idea I could pull off that signature move that the 8-year-old version of myself loved to do so often. I have been practicing handstand for about 6 months now. Every time I practiced kicking up without the support of a wall, I would hold back a little because of the narrative in my head. ‘You are going to fall and land on your neck, you will knock over your computer, you will fall into something, someone.’ It generally ended up with a big old – ‘BAD IDEA LEAH, STOP!’ So I did practice kicking up, but not with all of my heart and soul. I let that narrative rule me for a while. What I learned from arriving into handstand for those brief moments was that all of my fears that were dictating my actions were way worse than what actually ended up happening. I also realized that practicing with space surrounding me is key, so that there would be nothing that would be in my line of falling. With that said – new apartment will come with a spacious yoga sanctuary!